Much of Thanksgiving dinner is falling to me this year. I interviewed my Grandma and wrote down all her recipes so I can recreate the meal my family is accustomed to. 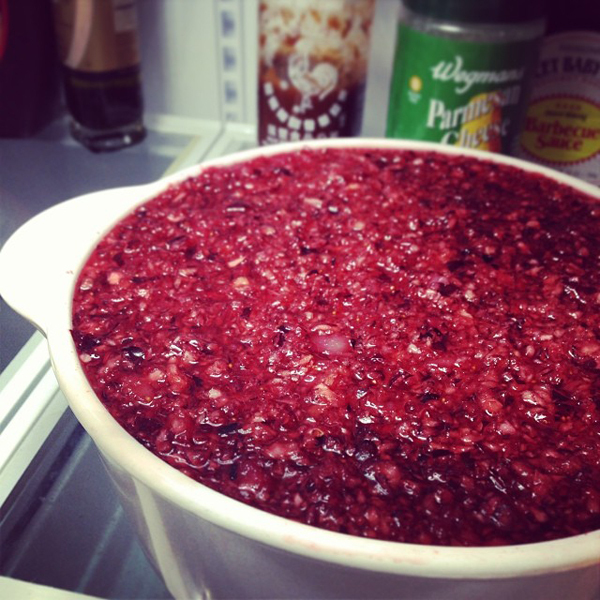 This is a giant batch of cranberry sauce. Nothing from a can for these folks. I didn't realized it would make so much. The walk from the counter to the fridge was a tense one. I am pleased because it looks and tastes just like Grandma makes. Now if I could only get the lid on the container. The stuffing is one of my favorite parts of the Thanksgiving meal. Along with the turkey... gravy... mashed potatoes. Who am I kidding? I love it all. By the way... do you call it stuffing or filling? My family says filling but my Rochester friends look at me funny when I say it. Is it a pop/soda thing? Our family's stuffing cannot come from a box. In fact it has to come from home baked loaves of bread. 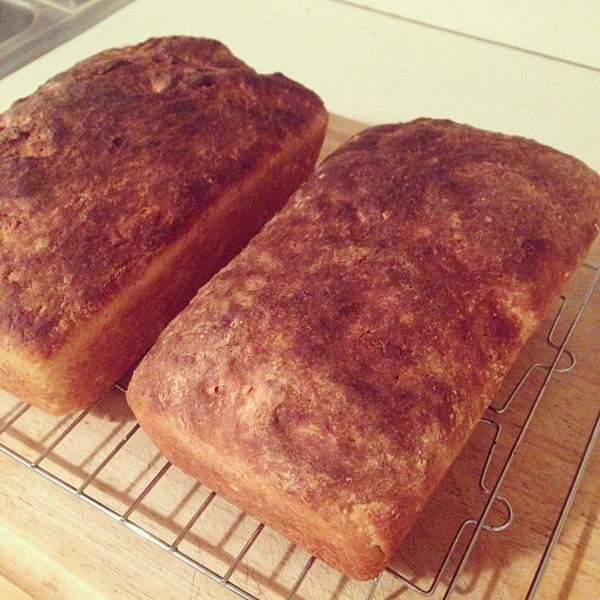 Bake the perfect loaf of bread was on my 2013 to-do list so now seems like as good a time as any. I don't know that these turned out perfect but the house smelled great while they were baking. 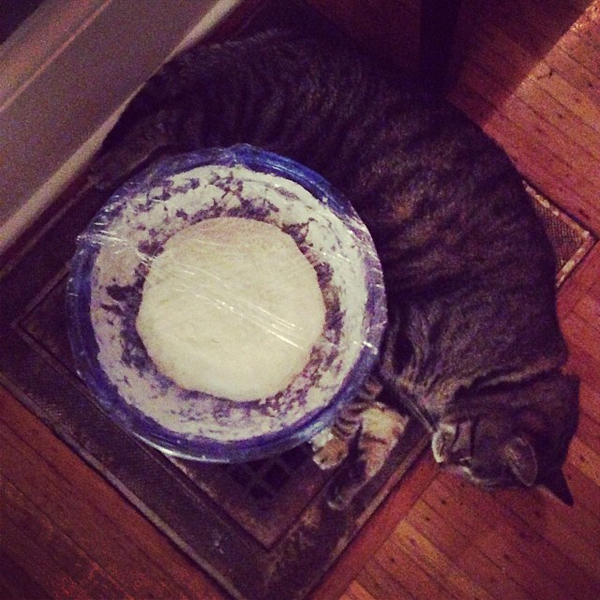 Turns out the warmest spot in the house to raise bread dough is on the heat vent that Stewie frequents. He wasn't thrilled to have to share his vent. 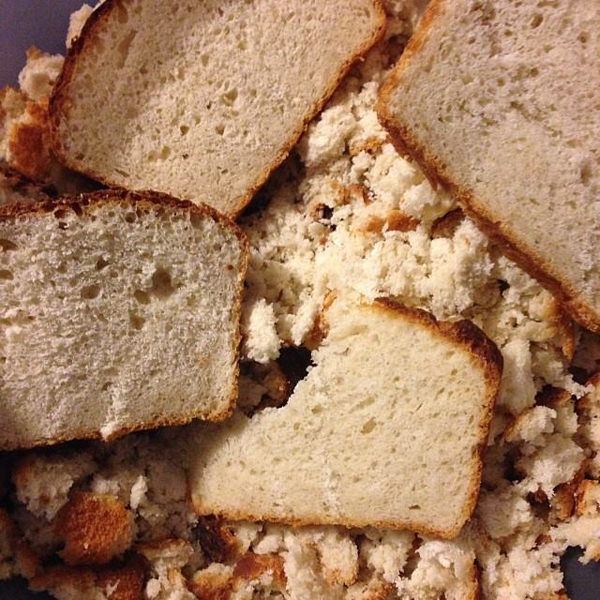 It seemed a shame to tear up perfectly good loaves of bread to make stuffing. The pugs were certain I was tearing it up for them. At any rate, I'm sure the homemade bread will make all the difference and the recipe was followed to a T. We'll see how I did when it gets spooned out of the turkey. It's not all baking and cooking for Thanksgiving. 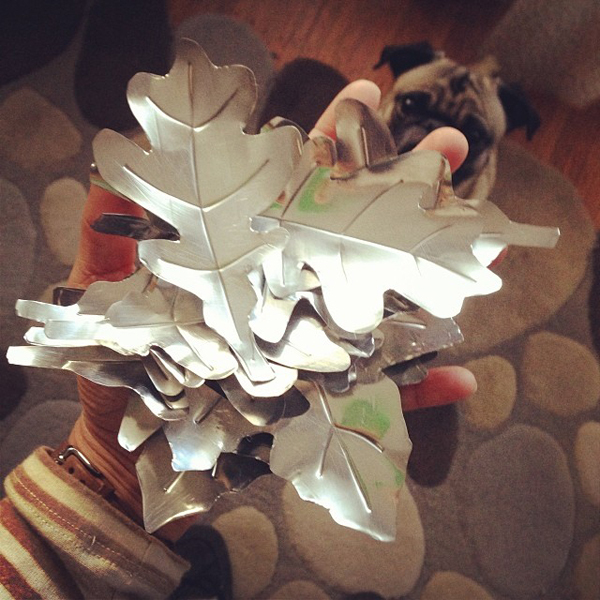 I made these leaves to decorate our Thanksgiving table. I saw the idea here. They were pretty easy to make and they come from inexpensive aluminum roasting pans. In the South, stuffing is called "dressing" and it's made with cornbread! !